Maxim is a Manager in regulatory consulting group of Financial Services Department in PwC Russia. He is currently in charge of ICAAP & RRP related services and a member of data model governance group. 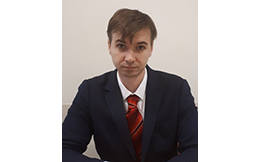 Maxim began his career as an auditor of banking organizations and shifted to providing consulting services related to development of IFRS like financial statements to the Central Bank of Russia and XBRL implementation. Maxim has acted as a leading developer of the prototype taxonomy of the Central bank of Russia and is a member of XBRL Russia jurisdiction. Maxim holds a master degree in Management.